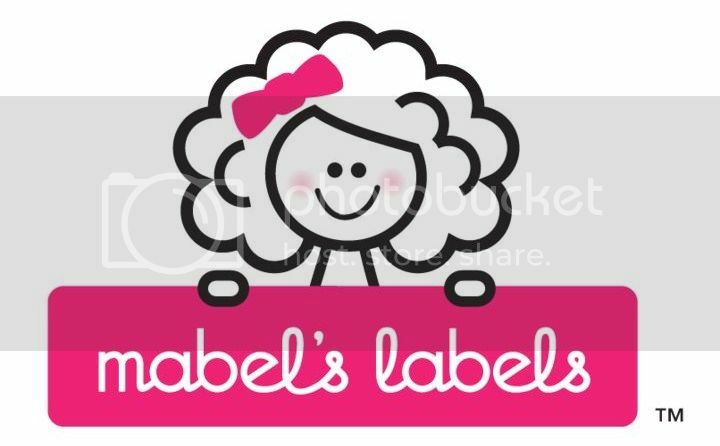 Mabel's Labels has the perfect collection of Household Labels to get your ready for your spring cleaning and organizing! These must-have labels were developed by professional organizers, and organize everything from storage bins, food containers and spice jars to craft supplies, and trash cans. 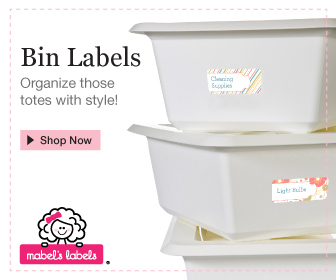 Style meets function in these durable labels, designed to help families stay beautifully organized at home! Their line includes storage labels, canister labels, food expiration labels, jar and can labels, trash bin sticky labels, recycling bin labels, and seasoning/spice jar labels! Whether you’re homesteading or just need a little help with home organization, these labels are made just for you! Let's start with the spices! Sweetness and spice and everything nice, that’s what these labels are made of! This set of Custom Spice Labels comes in your choice of four delicious designs, these spice rack labels keep jars, tins and other containers in order beautifully and will stay looking good thanks to their famous durability! Next, the Date Mates feature your choice of four fresh designs. 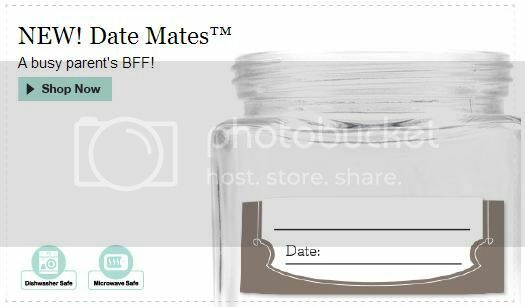 These blank, reusable date labels are a busy parent’s best friend. Fridge and freezer safe, they’ll help ensure the contents of food containers, baby bottles and other items stay fresh too! These labels are blank and compatible with any fine point dry erase marker or grease pencil. The set of Custom Bin Labels never made getting organized look so good! These durable storage tote and container labels are guaranteed to last wherever they go. From basement to garage to attic they stay secure! The problem is they are so pretty that you may not want to hide them! Finally, the food Canister Labels will keep your kitchen beautifully organized in your choice of four designs. The sugar on top is they’re super durable and guaranteed to stay looking yummy year after year! These labels are printed with your selection of dried goods names (ex: crackers, coffee, brown sugar and cereal). I received a pack of Household Labels and I love them. I am actually kind of an organizing junkie so I love to label things. I can tell you that these labels are very high quality! They are so durable and I can tell they will last for years to come. They are also so cute! The design choices are really awesome and will compliment any decor. Do yourself a favor and order yourself some Household Labels now and you will be all set when you are ready to start your spring cleaning! 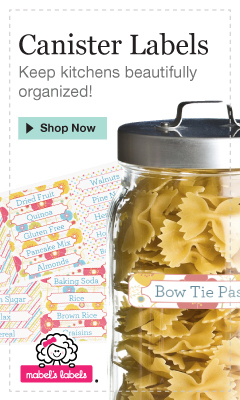 Connect :: Shop Mabel's Labels for durable and fun labels that help organize your everyday life. You will also find them on their Facebook and Twitter pages. 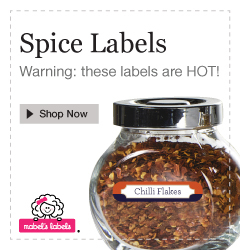 Buy It :: Bin Labels, Date Mates, Spice Labels or Canister Labels can be purchased for $21 each. See all of the Household Labels for more details. How To Enter :: Just use the simple form below to enter. Open to US and Canada. Must be 18+ to enter. Giveaway closes on February 25, 2013 at 11:59 pm EST. Only one person per household/IP address may enter. Good luck! Disclosure: Put A Little Umbrella In Your Drink received one or more of the products mentioned above free for evaluation purposes. Put A Little Umbrella In Your Drink is an affiliate of one or more of the products and banners you will see on this site. No financial compensation was received. I am disclosing this in accordance with the Federal Trade Commissions 16 CFR, Part 255 Guides Concerning the Use of Endorsements and Testimonials In Advertising. This giveaway is in no way associated with Facebook or Twitter. Put A Little Umbrella In Your Drink is not responsible for prize shipment. See my full disclosure.